Joan Lucille Malherek was born in Mankato, Minnesota on August 20, 1925 to Peter Malherek and Mary Grace Seigel Malherek. Joan, the eldest of five children, and her siblings were raised on a small farm in South Central Minnesota, near the Iowa border. She had two brothers, Paul and Joseph, and two sisters, Margaret and Mary. Some years ago, at a Maryknoll Sisters’ gathering in the Mexico/Guatemala Region, where Joan was missioned at the time, the Sisters were encouraged to write their personal obituary. Much of what follows, therefore, is taken from Joan’s own writing. Joan’s mother had a profound impact on her life. Her dedication to the missions influenced Joan’s choice of her missionary vocation. Her mother had been a teacher. This motivated Joan’s choice to study at Mankato State Teachers College in Mankato, Minnesota. Joan graduated from Granada High School in 1942. After one year and a summer of college, while only 17, Joan signed her first contract to teach in a southern Minnesota rural one-room schoolhouse with 14 students. This was also the time of the US entrance into World War II, a world shaking event that changed the patterns of life for all. On February 1, 1951, after 5½ years of teaching elementary school, Joan and I (her 18-year-old sister) left for the Maryknoll Novitiate in Valley Park, Missouri. We traveled on an unheated train even though it was 30 degrees below zero in Minnesota. After making our First Vows on September 8, 1953 at Valley Park, Missouri, Joan, now called Sr. Joan Peter, and I, Sister Mary Paul Stephen, like the rest of the entrance group, traveled to Maryknoll, New York. After four months, Joan was sent to Transfiguration School in Chinatown, New York where she taught until 1962. That year brought her a new assignment, this one to Maryknoll High School in Honolulu, Hawaii. Besides teaching, much of Joan’s time was spent studying mathematics, which she was teaching with no more preparation than second year High School algebra! This lack was soon remedied when Joan spent 1970-1971 earning a Bachelor of Science degree in Mathematics at the University of Minnesota. She returned to Honolulu and to teaching math at Maryknoll High School until 1973 when Joan was called home to care for her mother. While on Family Ministry form 1973 to 1976, Joan taught at Loyola High School in Mankato, Minnesota. After her mother’s death in a car accident in 1976, Joan returned to the Maryknoll Center in New York to give two years of congregational service in the Center Health Unit. I, Mary, had been assigned to Middle America and was now in Guatemala begging Joan to join me and experience mission in Latin America. She was assigned there in 1978. She studied Spanish in Cochabamba, Bolivia and was then assigned to the Mexico/Guatemala Region. Joan spent five years working with rural women in Huehuetenango, Guatemala. The terrible genocide of the Mayan people had begun in Guatemala. Living at the Sisters’ Center in Huehuetenango, Joan was able to help many of those suffering by supplying medicines, housing those fleeing, hiding and enabling the people to escape over the Mexican border. Seeing the plight of the people, it was difficult for the missioners, to understand the refusal of the U.S. government to grant them asylum status. 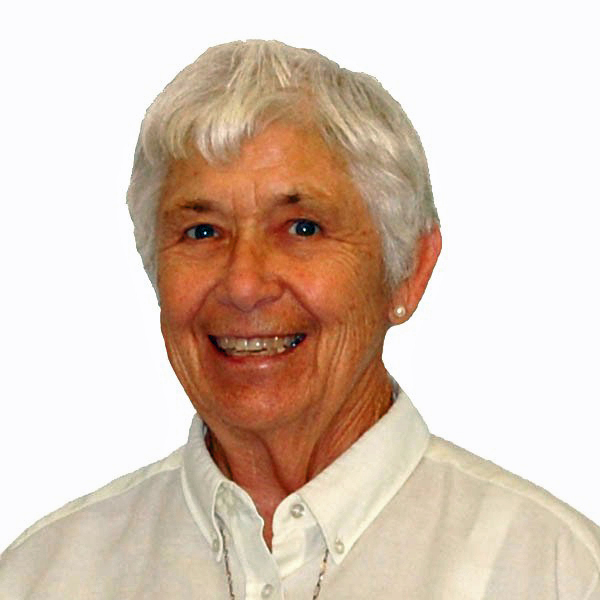 After closing the Huehuetenango house in 1984, Joan was assigned to work in the Diocese of San Marcos in San Antonio, Sacatepequez, Guatemala, in parish work and with women’s groups. These communities already had catechists who could teach and conduct the Liturgy of the Word on Sundays and Feast days. In 1986, while again giving a year of service at the Maryknoll Sisters Center, Joan took a course in Clinical/Pastoral Education in New York City. Returning to her Region, she was assigned to Oaxaca, Mexico. Here the emphasis was on fostering the 22 Basic Christian Communities in a parish of 60,000 people – San Martin. Many of the people came from the rural area and their homes were shacks built on the outskirts of the city. In Oaxaca, Joan and the other Maryknollers cooperated in the “Call and Response” program carried out by Mary Lou Doran. This program enabled U.S. students or families to experience mission life in Latin America for a few weeks. When the Sisters left Oaxaca April 2006, Joan returned to the U.S. and took over as Office Manager for the Mission Awareness Promotion Program until 2010. In 2011, Joan and I joined the Maryknoll Sisters Community in Monrovia. During her five years here, in addition to being Director of Medical drivers who helped Sisters get to their medical appointments, she also volunteered wherever needed. Joan passed into this new life peacefully in her sleep on March 13, 2016. She was 90 years old and had been a Maryknoll Sister for 65 years. Live, dear Joan, in the fullness of all that you began here on our beautiful earth! We are happy to welcome our dear friend, Father Joseph Donovan, MM to celebrate this liturgy of Resurrection.